Michela Haywood and her children Josiah (12th grade) and Kaylan (5th grade) attend their church with nine other Hawaii Technology Academy Oahu families. Michela has coached many of these families through the enrollment process and beginning stages of transitioning to this alternative learning community. Josiah and Kaylan both struggled with reading at their previous grade schools. Michela saw that Josiah wasn’t getting the attention he needed. So she took on the role of Learning Coach and embraced the task of mentoring her kids as they accepted the responsibility that comes with HTA’s blended learning program. As a hands-on parent Michela was instantly drawn to the collaboration between teacher and Learning Coach. Josiah entered HTA as a sixth grader with a high fourth grade reading level. “HTA placed him in fifth grade English, by the end of the school year he was caught up to sixth grade English. Kaylan also struggled and is now in a special HTA program,” said Michela. Josiah credits his mother for his success, “HTA helped me to focus on my school work; my mom knows what we are learning so she really helps me stay on track (with my independent learning.) You only have to go to the school two days a week but you can go in any day for more help.” The Learning Center’s small class sizes allow for the individual attention many non-traditional students need. Teachers are able to notice challenges right away during face-to-face instruction and communicate with parents. The support of the parent Learning Coach at home empowers the student to embrace school-life balance. Michela and her family have lived in Hawaii for over 20 years. “The people in Hawaii are family,” she said, “it’s a very family-oriented island and there is more of a family type of environment at HTA.” HTA support students inside and outside of the classroom as a community embracing the challenges of today and the opportunities of tomorrow. Brian Dilley and his family moved to Hawaii’s island of Kauai about three years ago. A family raising nontraditional students, Brian and his wife began homeschooling their children Isaac (11th grade) and Olivia (10th grade) during their early years of elementary education. Brian and Olivia both skipped a year upon entering Hawaii Technology Academy. The transition to HTA from homeschooling took curriculum and teaching pressure off of mom and dad as they transitioned to collaborative Learning Coaches and exposed Isaac and Olivia to a new learning experience at a public charter school. Isaac and Olivia are diligent students, both advanced in math and science. Isaac earned 11 college credits this school year, taking all of his 10th grade requirements the first semester. The second half of the school year he focused on Spanish and public speaking courses offered at the local community college and, “although there was a bit of uncertainty,” said Brian, Isaac was able to maintain a perfect GPA the entire year. With aspirations of attending medical school, Isaac plans to get as many college credits under his belt as he can. “I really like that I can learn at my own pace, if I didn’t have the blended learning program I don’t think I’d be as far ahead as I am,” he said. Isaac also surfs with his dad regularly and is a part of the worship band at their church. HTA’s blended learning program has been a great benefit to Olivia as well, providing the tools necessary for college and career readiness. Olivia wants to be a veterinarian. With the flexibility of face-to-face instruction, virtual instruction, and independent learning, she’s able to participate in gymnastics and volunteer at the humane society frequently, building relationships with the vets and shadowing them during procedures. “Most kids in a traditional setting wouldn’t be able to volunteer on a Wednesday morning, but I can,” Olivia credits HTA’s flexibility as a privilege that allows her to balance her schedule on independent learning days. ​Brian and his wife take a lot of accountability and responsibility for Olivia and Isaac’s education, keeping everything in perspective and reminding them of the payoff hard work brings.“We really love HTA, not just for the academics but for the flexibility it offers our family to be as well-rounded as we can be in other areas,” said Brian. “There’s real potential for the student who just doesn’t feel comfortable in the traditional school setting.” “As the kids got older,” he said, “it was going to become important for them to have other influences and expertise involved in their schooling.” Isaac and Olivia’s success is a testament to HTA’s visionary community of passionate parents, enthusiastic educators, and special students who are embracing the challenges of today and the opportunities of tomorrow. The legacy of a military family, Nathan Smoot is headed to United States Military Academy at West Point this fall. He’s also a Hawaii Technology Academy alumnus who graduated with honors and was the student orator at his ceremony with dreams of becoming a lawyer in the Army. His younger brother Garrett is also a stellar student, entering 11th grade this fall with the goal of joining the U.S. Air Force Academy. When Kristin Smoot prepared for the family move from Charlottesville, VA to Oahu, she considered what she wanted high school in Hawaii to look like for her sons, for her family. “With two years to live in a really unique place, I didn’t want my kids to be so wrapped up in school that they didn’t get to experience the island,” she said. Nathan had attended a large public high school for two years in Charlottesville after being homeschooled during his early years. After researching school systems in Hawaii, Kristin came across HTA and knew it would be a great fit. 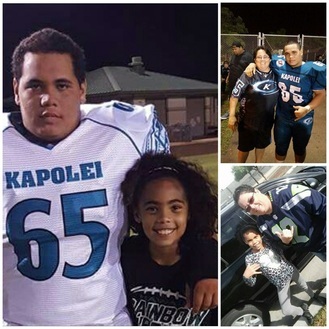 With Garrett preparing to transition to high school, she wanted a school-life balance for her boys that allowed the flexibility of homeschooling and a transcript that was recognizable to public schools and easily transferrable upon their return to the mainland. With strong work ethics as independent learners, Nathan and Garrett embraced the blended learning program and the freedom to complete school work on their own schedules and around their activities. Both boys are talented athletes, participating in high school and club lacrosse. HTA allowed them to bond in a way that a traditional high school could not. Rather than seeing each other in passing and at the end of their busy days, Nathan and Garrett worked and played side-by-side. 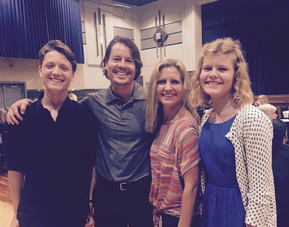 Kristin’s experience as a homeschooling parent made the transition to HTA easier. Though she served as Learning Coach, the Smoots stressed that learning is ultimately the responsibility of the student. “Having that foundation (of homeschooling) is what set them up for success,” she said. It gave them resilience. HTA’s online courses gave Garrett and Nathan access to so many course offerings, allowing them to get ahead in their studies and prepare for their respective paths in continuing education. When asked what sold the family on HTA, Kristin remarked, “hands down the flexibility.” Not only did Nathan and Garrett excel academically, they bonded in a special way. The benefit that HTA provides families left the Smoots with no regrets. “For people looking for something different, for something that allows that sense of freedom, I would definitely recommend it,” said Kristin. HTA is a unique public charter school that affords students more flexibility, more freedom, and smaller class sizes while empowering them to succeed.